These streamlined and durable poly trucks are molded in one piece with 1/8" thick crack-resistant material. They are super strong and the smooth rounded corners make cleaning a snap. Body is mounted on a strong galvanized steel base. 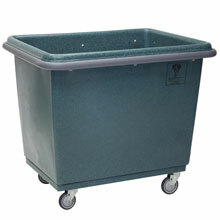 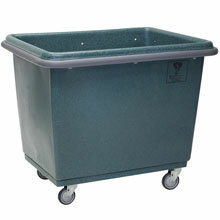 Rugged 4" casters provide smooth rolling.